Music Supervision, Music Consultants, Music Copyright Clearance, Music Transcription and Music Publishing services. Dancing Mice Productions is one of Americas leading Music Supervision and Music Consultancy companies serving the movie and film industry Worldwide. Dancing Mice Productions work with both the studios and the musicians/musician representatives to first select appropriate music and then secure the licenses for that music to be used. Our professional and experienced personnel act as mediators between film or movie Production teams and Composers and their teams, to suggest ideas, fully research the musical input, then obtain rights to source music for films. We then oversee spotting sessions, liaise on where the Movie Director wants music, and why, then recruit and contract musicians, book recording studios and attend sessions, ensuring that delivery requirements are fulfilled, on time and on budget! Dancing Mice Productions prepare source music schedules, obtain and check licenses, and act as the liaison between the Record Companies, the Publishers and the Production Company. 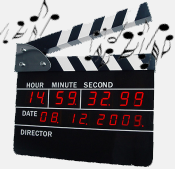 We also produce the music cue sheet for final delivery and liaise with the Sound Team and the Playback Operator to ensure that the Sound Team has the pre-recorded music in the correct format and ensure that the duration of the music included conforms to the terms of the negotiated contracts. 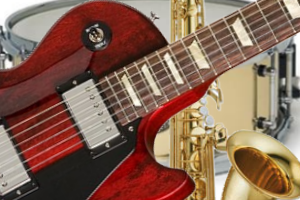 Our services to the music industry are conducted by experienced, high qualified and professional musicians backed by a comprehensive music supervision and copyright service. Dancing Mice Productions is the “one-stop-shop” for music resources and offers the perfect solution to film, movie production companies and independent producers throughout the World. Some of our past and present clients include: Act III Productions, Bigfoot Entertainment, Buena Vista International, Caged Angel Films, Colombia Pictures Corporation, Dakota Films, Emotion Pictures, GAR Productions, LK-TEL, MIA Video Entertainment, Mother Goose Films, Movision, Mrs. Globe International, Paramount International TV, Ramstar Productions, Screen Gems, Sony Pictures Entertainment, Spice Factory, Tusk Productions, Universal Pictures, USA Broadcasting, Walt Disney Pictures and York Entertainment.